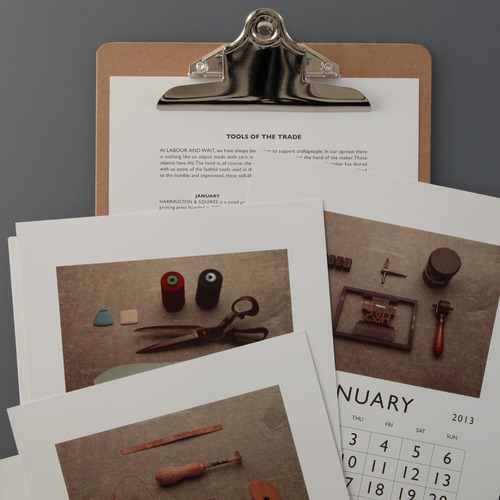 And so we reach December, and the final entry in our 2013 Tools of the Trade Calendar. 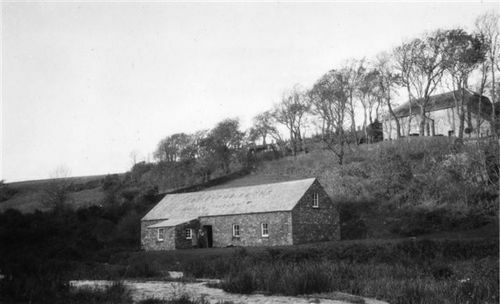 We take a trip once more to Wales, where we find Tom and Anna, proprietors of the Solva Woollen Mill, and makers of our Welsh Tapestry Rugs. 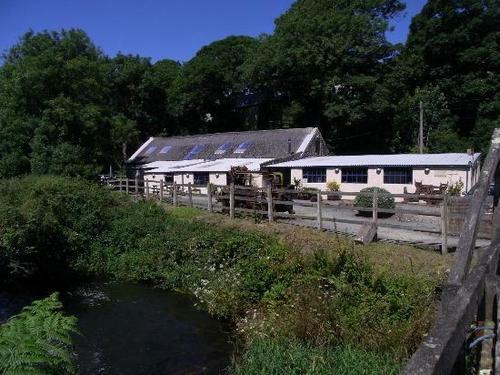 Nestled deep in the Pembrokeshire countryside, the Solva mill has been in operation on this site for over a hundred years, weaving tweeds, flannel, rugs, blankets and stair carpets, and warping wool for knitting. Eric at work ( above ) and Tom ( below ). 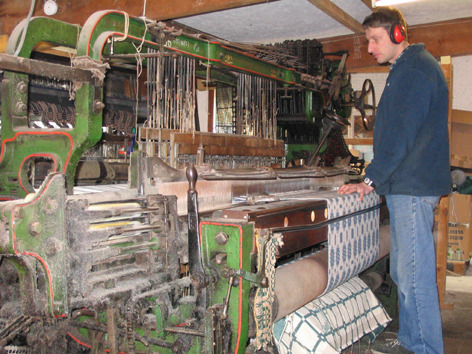 Eric stayed on at the mill after retirement to help Tom and Anna learn how to run the mill and how to operate the complex machinery, and in particular how to work the Dobcross looms used to produce the tapestry rugs. 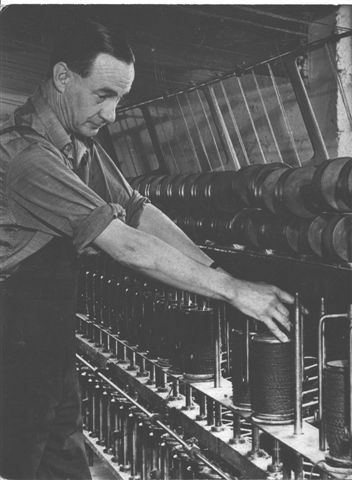 The Hattersley Dobcross Box Loom was the workhorse of Twentieth Century British weaving, producing countless thousands of metres of wool, worsteds and tweeds, and although many hundreds were destroyed as mills around the country closed down, there are still a handful of producers who keep and maintain these hardy machines. 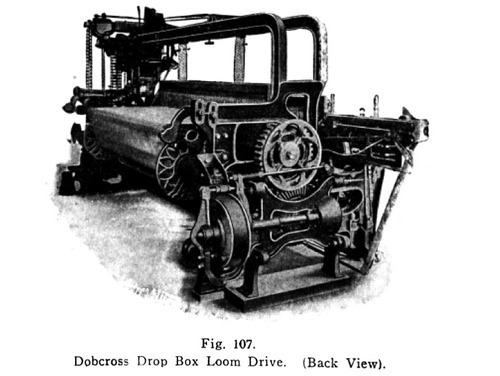 We have come across the Dobcross before in Tools of the Trade, in March, when we paid a visit to Elvet Woollen Mill. 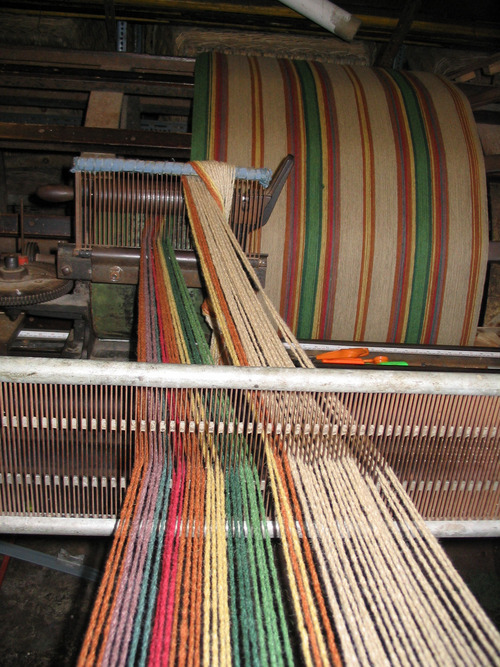 This machine is the perfect loom for weaving the traditional Caernafon ‘Welsh Tapestry’ pattern that has seen such a resurgence in popularity over the past few years. 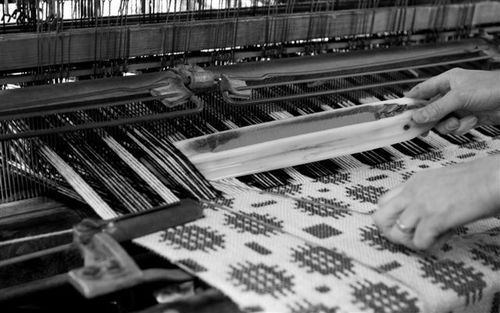 “The Tapestry design is the oldest pattern we weave here and was adapted from one of the traditional Welsh bedspread patterns. 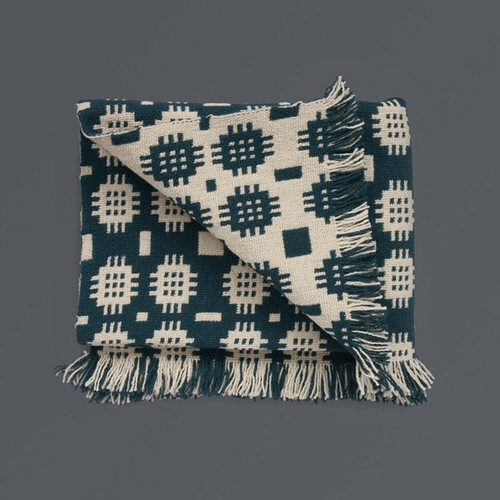 The rugs and runners woven here were originally of a much simpler design, but in the 1950s Eric noticed how many people had been using the tapestry blankets on their floors, and so he adapted the design using heavier yarn to produce a tapestry rug." Our Tapestry Rugs are available in our own Labour and Wait Airforce and Olive colours, as well as as in standard Black and Red colourways. 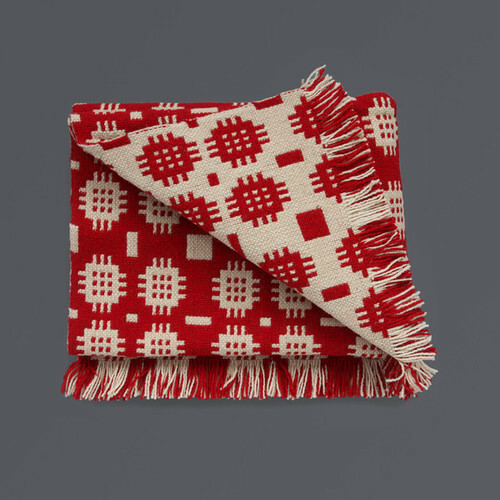 The rugs are 'double cloth’, being two layers of cloth woven together, making them weighty and durable as well as fully reversible. 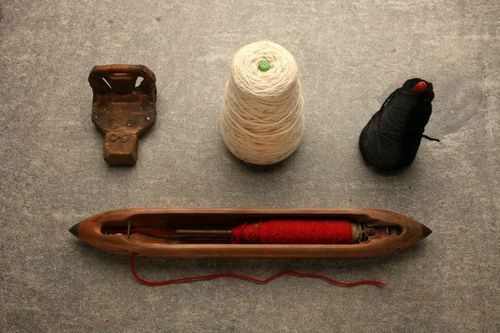 Solva use 100% British wool, spun by a family company in Yorkshire. 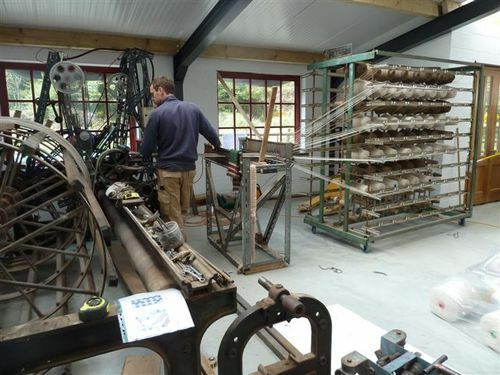 Tom winding the yarn from the creel onto a warping mill and, below, a warp of one of Solva’s striped floor rugs. 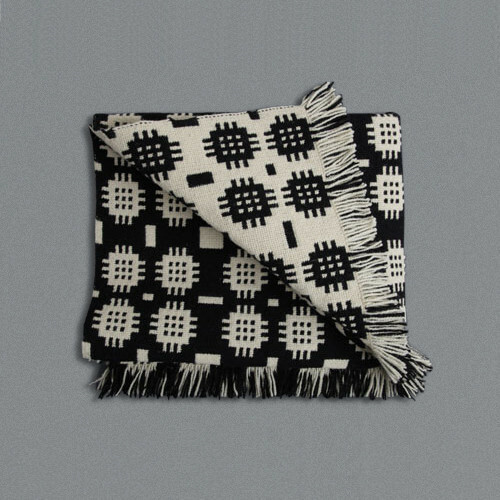 We are very pleased to be able to sell these handsome Tapestry Rugs, woven by Tom and Anna in their Welsh mill. 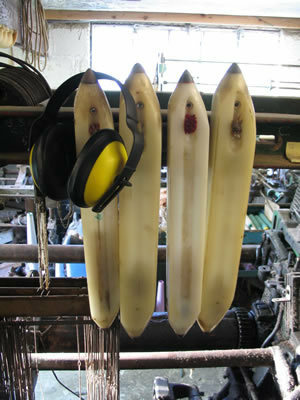 In doing so we feel we are playing our part in preserving a traditional industry, one that has been practiced in this mill for over a hundred years, and which will keep on going for many years yet. 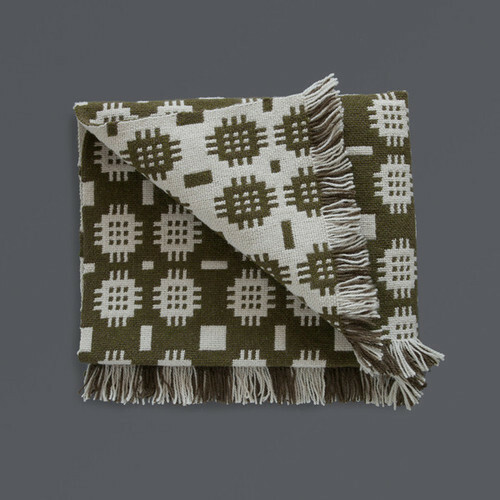 Tapestry Rugs are available in Airforce, Olive, Red and Black from our Redchurch Street store or from our website. 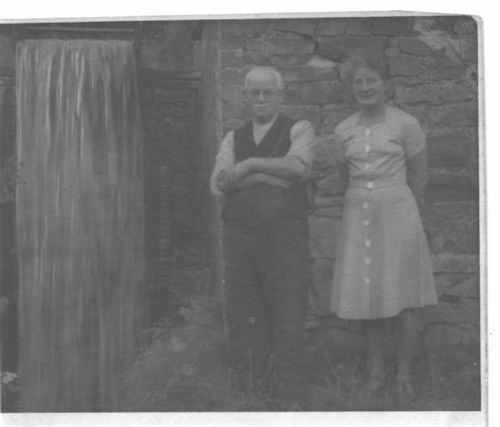 Our thanks go to Tom and Anna for their pictures and for sharing their story. Our thanks also go to all our suppliers who have shared their tools and their stories with us this year. 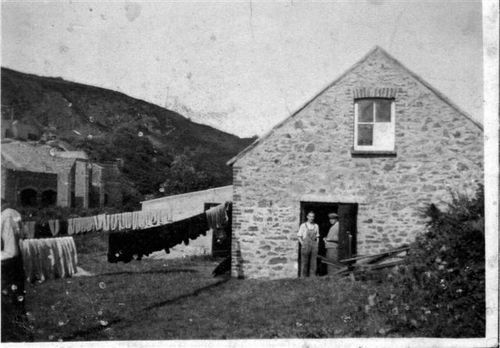 We hope to have shown a little of the companies still proudly making their goods in Britain, many in a traditional manner, all of which we are honoured to sell at Labour and Wait.